I just keep staring at the calendar, as if it’s going to make the days go by faster. I always longed for winter. My days were filled with snowboarding and nights ice climbing. It was my life. Year after year I couldn’t wait until it started to snow in the mountains. Now my life seems to be consumed by rock climbing and my attitude towards snow has taken a complete 180. Last week, my partner and I made an attempt on the Grand Central Couloir on the North Face of Mt. Kitchener. It would be our first attempt at climbing ANYTHING in the Canadian Rockies. Among many other things, I find going to a new region to be daunting because each seems to have its own climate that requires adapting to. The Rockies are a colder and drier range than the Cascades, Patagonia, or other places I have climbed. We did what I am sure many end up doing – debating our layering and sleeping systems for a good half hour. Summer has abruptly ended, the chill has set in and the leaves are starting to turn. It was a good one, despite being away for work I snuck in a variety of climbs, ranging from alpine rock to glaciers and ice. Some long multi day trips with grueling approaches, the kind were no matter what pack you use it rubs and pulls and makes it feel like you are carrying the world on your shoulders. Not this summer! Expedition 45 Pack Get's it Done! 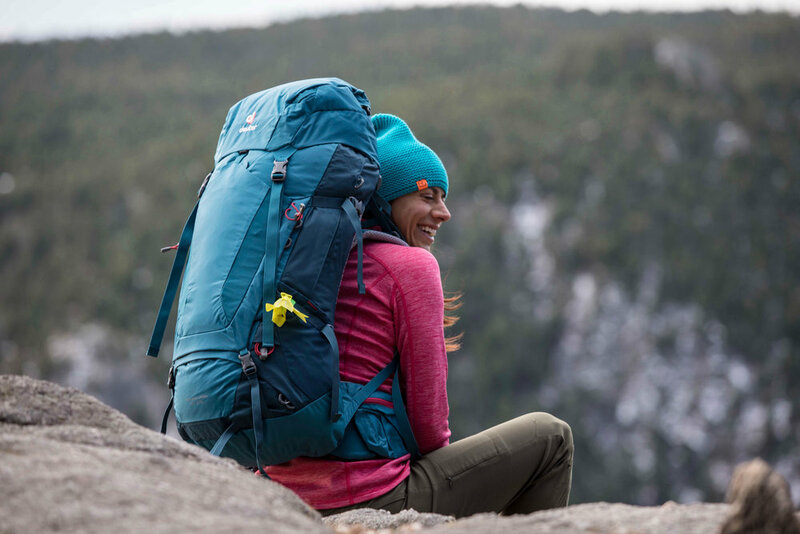 The Deuter Gravity Series Expedition 45 L pack is an ultra-light pack ideal for longer alpine adventures and multi-day climbs when you need to bring bivy gear on route.